Here is a detail of one of the stain glass windows at Sagrada Familia Cathedral. Many of these stained glass works of art are meant to harmonize with the light according to the season and the hour of day. Inside the cathedral, you notice that on the Nativity side green and blue tones are predominant, colors that announce Jesus birth, in opposition to red, yellow and orange on the Passion side. 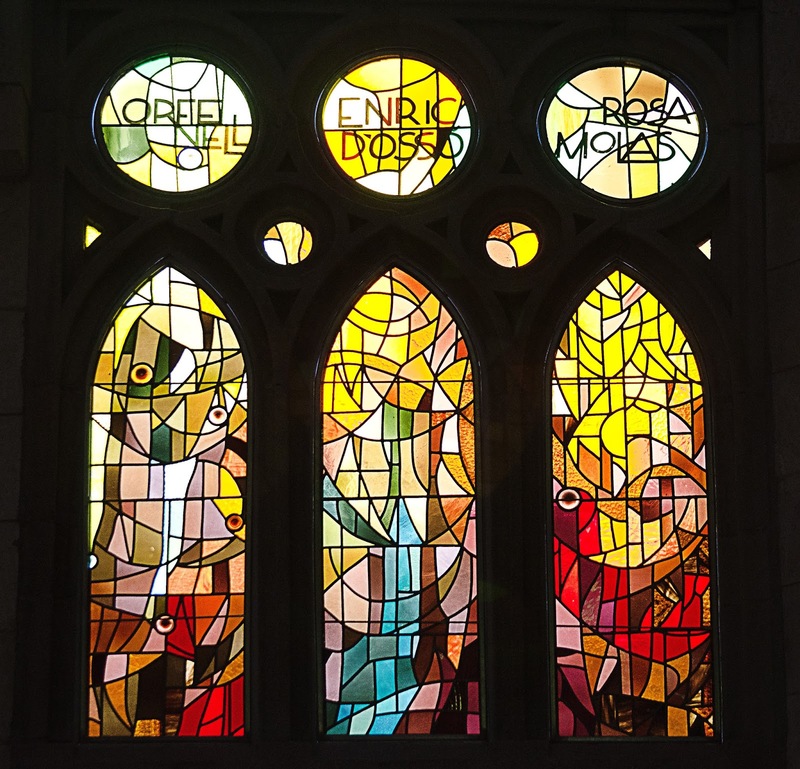 New stain glass has been designed by artist Joan Vila-Grau following strict original indications by Gaudi.